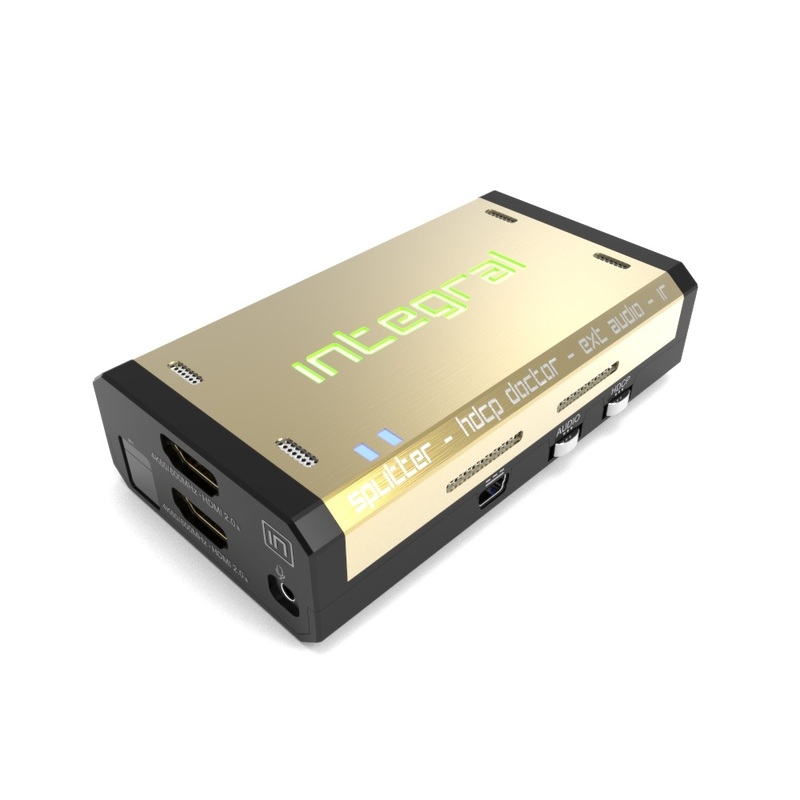 State of the art HDMI central for FHD source or sink in UHD/HDR setup or the other way around. Comes with OLED/OSD, huge scaling power and toolkit for researcher, content creator or advanced user. 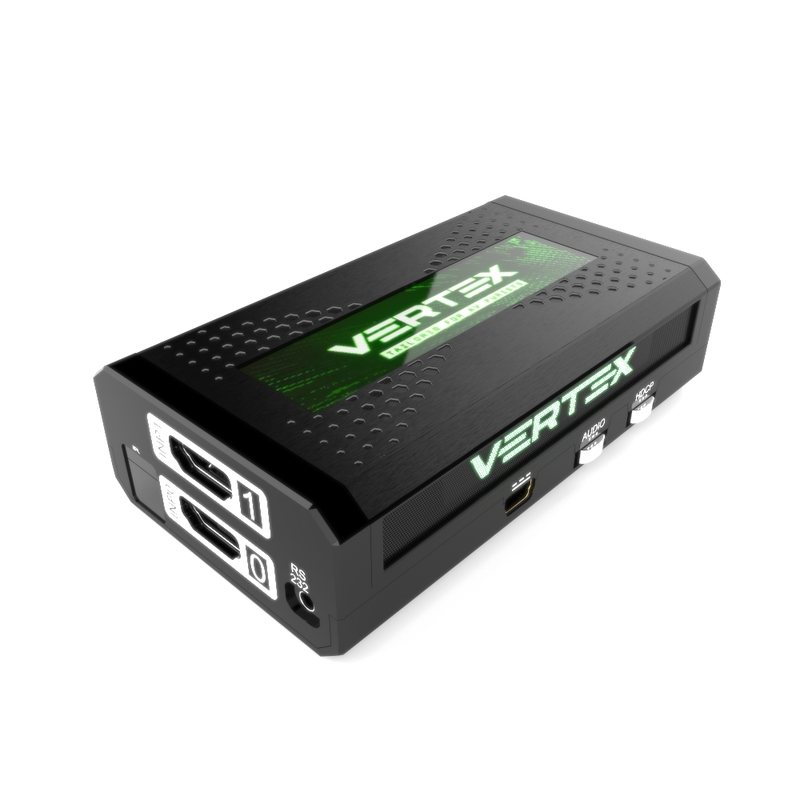 Vertex allows any source (Blu-ray, UHD Blu-ray, media players, satellite receiver, game consoles, PCs, etc.) to be shown on any of the connected displays and any sources HDMI audio to be played on any AVR. 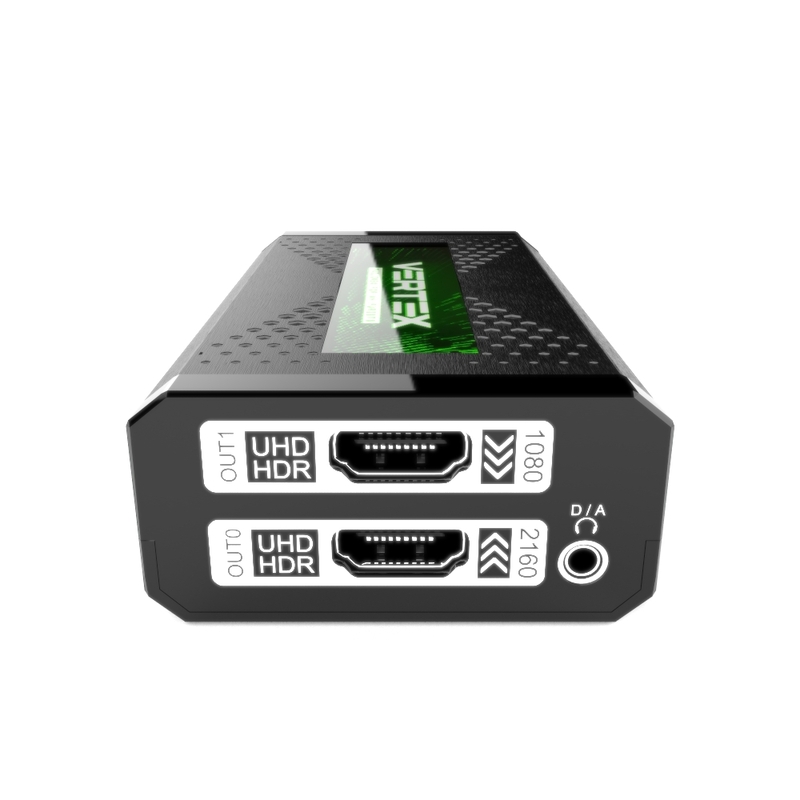 With built-in scalers you don’t have to miss any 4K HDR signal because of older legacy equipment in the signal path.